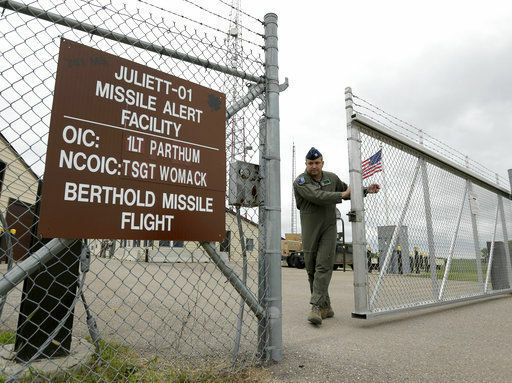 The U.S. and Russia each have fearsome arsenals of 1,500 nuclear weapons. Once launched, a missile cannot be recalled. Recently two op-eds appeared in the Star about the issue of nuclear weapons. One urged that we upgrade and replace all current missiles, submarines, aircraft and land-based silos. The other argued that we maintain our current arsenal and use the trillions of dollars for urgent needs in our country. A real solution has been proposed by 122 nations of the United Nations in the summer of 2017 targeting all nine of the nuclear weapons-holding nations. The U.N. Treaty on the Prohibition of Nuclear Weapons is now circulating to all nations for ratification. When ratified by 50 it will become international law. It is incumbent upon all citizens, political parties, municipal governments, states, and elected representatives to support this treaty. Our global survival is at stake. A bill pending now in Congress is “Restricting First Use of Nuclear Weapons” S.200 and HR 921. It does allow for retaliation. Our Arizona Senate and House representatives should support these measures. A missile once launched can not be recalled. The destruction would be devastating to both sides, with no meaningful recovery possible. Our current U.S. course bends toward planetary destruction. Unimaginably powerful weapons are ingeniously developed, and then control is placed in the hands of leaders of dubious stability and competence. The U.S. and Russia each have 1,500 nuclear weapons ready to launch. Abolishing and verifying the end of nuclear weapons is the right policy. Raymond Graap and Schulyer Hilts are retired physicians in Tucson and have been members of Physicians for Social Responsibility since the 1980s.